Rain getting you down? In need of a mid-week giggle? 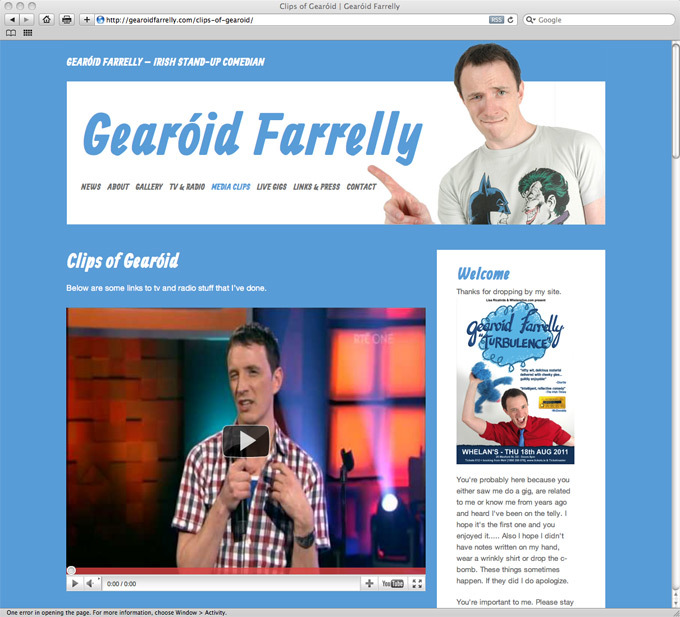 We recommend lifting your spirits with some video clips of comedian Gearóid Farrelly – we had great fun watching them all (for research of course!) while working on his new website. For those looking for a fun night out – details of Gearóid’s upcoming gigs are also available on the site. Posted on June 22, 2011 by Marie	This entry was posted in blog, curious clients.